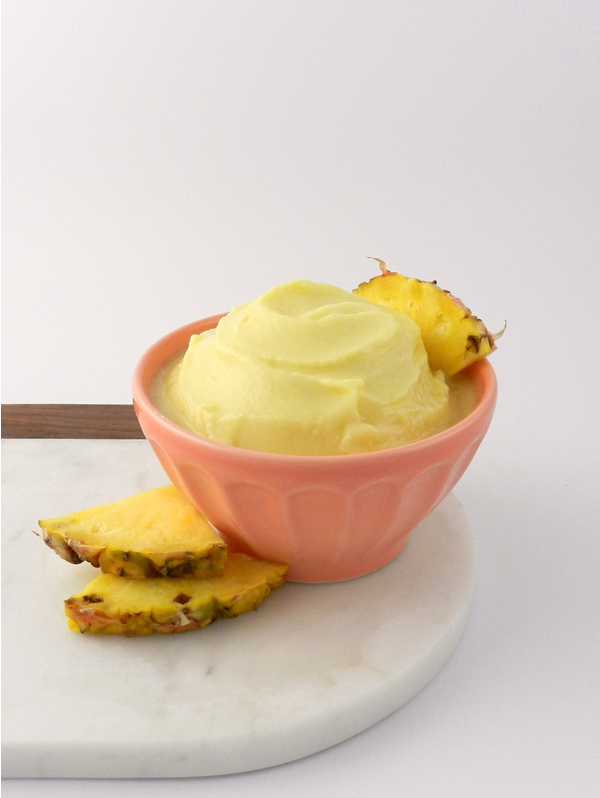 After seeing recipes for Pineapple Whip pop up all over Pinterest, I have been curious to try it out for myself to see what all of the buzz is about. 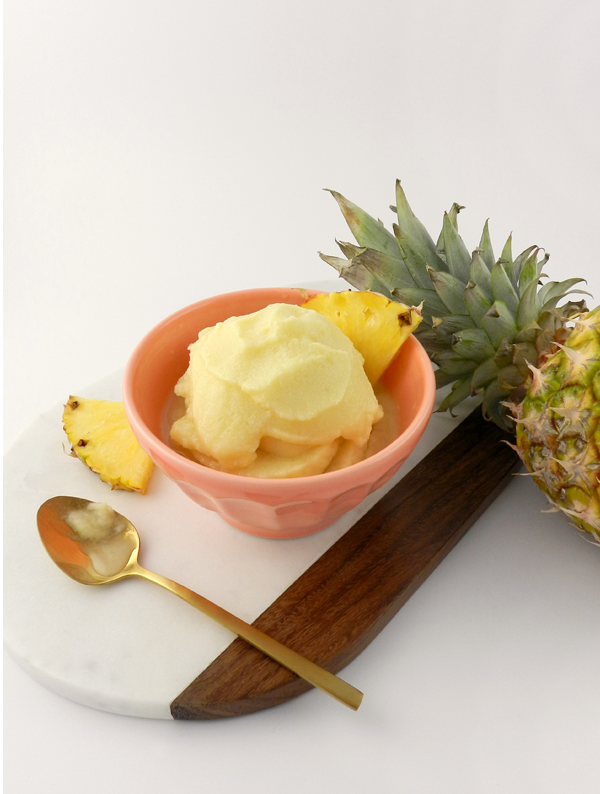 From what I have read, Pineapple Whip is a frozen, soft serve dessert served at Dinseyland, but having never been to a Disney theme park before, I had never heard of it. With that being said, I cannot tell you if this actually tastes like the original theme park treat, but it was definitely very good! 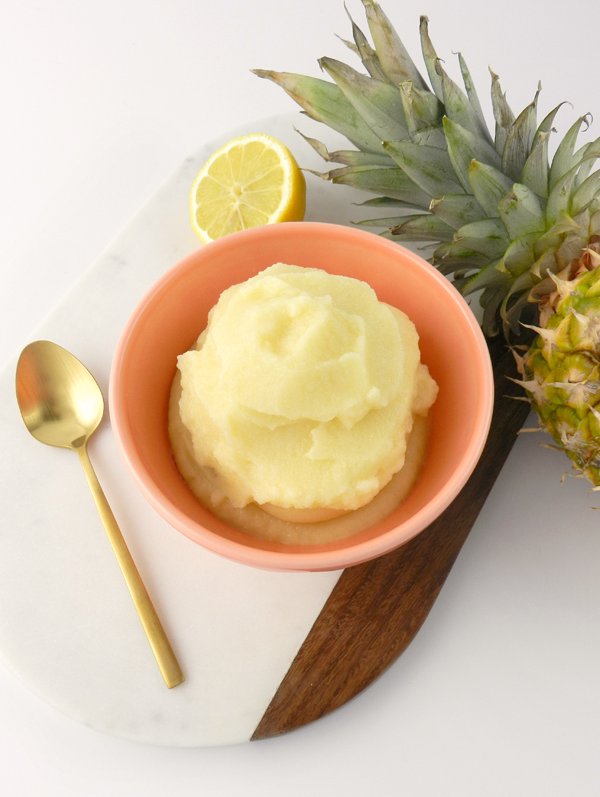 I love that this recipe only requires a few ingredients and is a fairly healthy alternative for a cool summer treat. 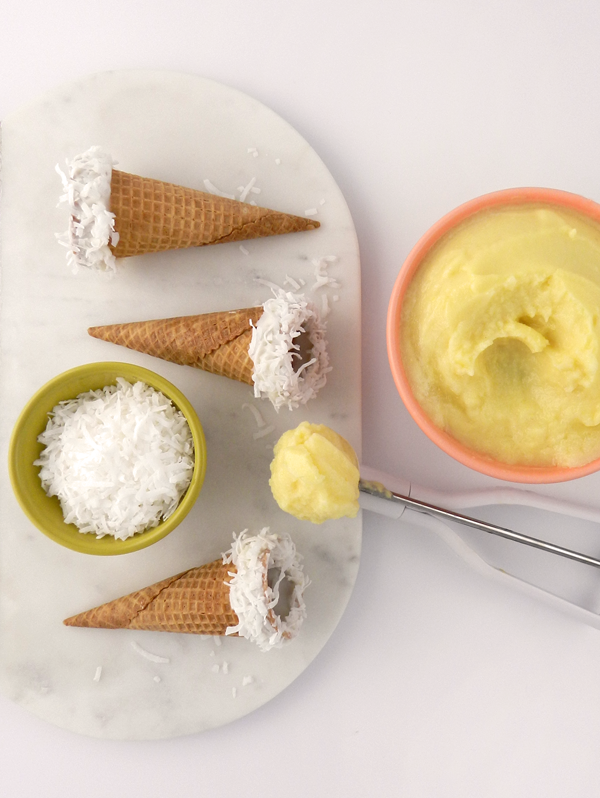 After letting the whip firm up a bit in the freezer I tried scooping it into coconut rimmed ice cream cones, which was delicious, but also a little messy. I would suggest sticking to bowls unless you have more patience than me and let the whip freeze long enough to be easily scooped into cones.